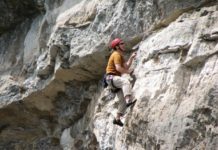 We gathered a selection of nine of the top climbing ropes on the market, and after a healthy amount of unwinding and flaking, put them to the test by climbing as much as possible across multiple different climbing disciplines. We cragged, aided, projected, whipped, climbed long multi-pitch routes, coiled, backpacked, and carried these ropes on long alpine routes. 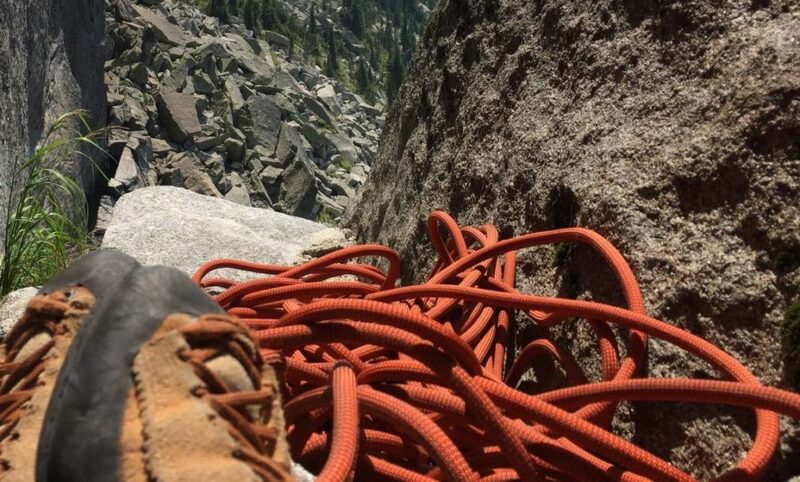 From Yosemite Valley to the High Sierra, and Red Rock, Nevada to Kalymnos, Greece, we drug these ropes over granite, clipped them up limestone, and rapped over sandstone. Ultimately, all of the ropes in this review are safe and successful pieces of equipment. So we paid careful attention to the small details a user would notice, which allowed a few ropes to edge ahead of the others in our tests. The 9.5 mm Mammut Infinity wins our best overall rope award because it is one of the most durable and versatile ropes we evaluated, giving it the widest appeal. 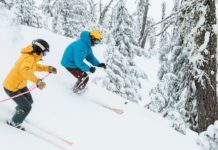 The medium diameter allows it to handle any style of climbing, and the Teflon coating keeps the rope feeling fresh longer than most other ropes. It only weighs 58 grams per meter, which is one of the lightest in our test, and it handles smoothly in Gri-Gris and ATC style belay devices alike, making it the perfect choice for long approaches or multi-pitch climbs. If we had to buy just one rope, this would be the one we would put our money on. You can purchase it with three different coating treatments from Mammut, in a variety of lengths, and in regular or bi-pattern versions. The 9.8 mm Sterling Evolution Velocity, weighing 62 g/m, hovers at the lighter end of our workhorse rope classification. This allows it to have a long lifespan without being too burdensome to carry. We find that it provides the ideal balance of durability, smooth handling, and low weight while keeping the price relatively low as well. This earns it our accolades for the best value climbing rope. This rope could be used for any climbing discipline, from ice to difficult sports climbing, and is versatile enough for the well-rounded climber to bring along on every new mission. We recommend it as someone’s first climbing rope, or as part of a rope quiver to bring out for the hang-dog days. The recently revamped 9.0 mm Sterling Fusion Nano IX is hands-down our favorite skinny sending cord. It weighs a mere 52 grams per meter, shedding extra unneeded ounces so you can send your project or bust out an epic push in a day. The tightly woven sheath makes it feel thinner than the specified diameter while making it last longer than you would expect with such a thin rope. 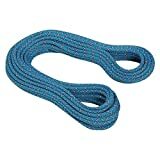 With smooth, supple handling, this rope is just plain fun to climb with, however, belayers should use extra caution when catching falls with this tiny rope, especially when it is new. This thin cord will not last as long as thicker ropes, but no other rope is quite so featherweight and fun. Use this as your specialty rope and get the Best Buy winner as your everyday project tool. Most popular rope in the Marathon series. Performed well on more routes than any other rope in Sterling's history. Burly enough for jugging and repeated top-roping sessions, the 10.1 mm Sterling Marathon Pro earns the distinction of the best workhorse rope. Time and again, this rope has outlasted other models in our tests, proving that it has enough life in it to take the hardest abuse. Weighing 63 grams per meter, it is not the heaviest rope in our review by any means, though it is the thickest. Also with a relatively low impact force rating of 8.6 kN, the catch on this beast is quite soft and comfortable. For those who like the confidence supplied by fatter ropes or who want a rope that can take a beating, the Marathon Pro is the one that will withstand the harshest conditions. After comparing the specs of all the ropes in our test, we have noticed some interesting variances in regards to weight. The lightest rope in our review was predictably also the skinniest, the Sterling Fusion Nano IX, 9.0mm at 52 g/m. But the heaviest was not the thickest. The 10.0mm Mammut Sensor weighs 67 g/m, but the 10.1mm Sterling Marathon Pro, while slightly thicker, weighs quite a bit less at 63 g/m. Even ropes of the same diameter do not necessarily compare in weight. The 9.5mm Mammut Infinity weighs 58 g/m while the Edelrid Eagle Light, with an identical diameter, weighs more at 62 g/m, which is incidentally the same weight as the thicker 9.8mm Sterling Evolution Velocity. Needless to say, the diameter has some correlation to the weight, but as you can see, it does not always accurately predict how much a rope will weigh, which is why we think both weight and diameter should be considered together in your search for a new rope. Catch is an extremely subjective metric to measure. After many a fall on each of our test ropes, we found it difficult to quantify exactly which ropes have the best catches, mainly because there are so many other factors that contribute to the comfort or softness of a catch. How much rope you have out before the fall, how far above a piece of protection you are, and the motion of your belayer all have an affect on the catch. If your belayer is paying attention and jumps slightly, your fall will be more pleasant. So, to more objectively rate each rope, we took a look at impact force ratings. The reigning wisdom is that the lower the impact force rating (in kiloNewtons), the less force is applied to the falling climber, ie the softer the catch. After giving out our awards for Editors’ Choice, Best Buy, and two Top Picks we realized that each of these ropes have impact forces are all close to each other, somewhere between 8.5 and 8.8 kN. So we took a look at our old review. All of our award winners then were also inside that range, while the lowest scoring ropes each had impact forces outside this range. We’re beginning to think that this may not be a coincidence but an actual preference by our testers. The rope in this test with the lowest impact force rating is the Sterling Fusion Nano IX, with a rating of 8.5 kN, while the highest impact force rating is found in the New England Alex Honnold Glider, with a rating of 9.5 kN. This category describes our overall impression of using each rope. 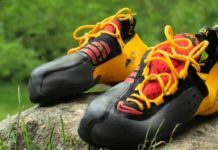 We evaluated each model on its suppleness and the overall feel while carrying, coiling, climbing, clipping, and belaying. Does it feed well while you pay out slack to the leader? Is it easy to pull up and clip into your protection? 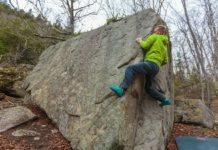 Are you ruining your shoulder when you belay a follower from above using an ATC style device in auto-block mode, or does it feed smoothly? In general, the lighter thinner ropes handle the best. Thinner diameters allow the ropes to be more flexible and the light weight makes them less cumbersome to carry and clip. The most supple ropes in our test were the two skinny Sterlings, the Ion R and Nano IX, as well as the Edelrid Eagle Light. By far the worst rope to use was the New England Alex Honnold Glider. This wire-like rope is so stiff that it feels like you need to force it through a belay device, resulting in short-roped leaders and exhausted belayers. We noticed that ropes with surface treatments have a much smoother glide when new, and keep this feel much longer than ropes with no surface treatment. 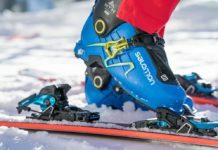 The Petzl Volta felt slippery when first out of the package, and we noticed that it slipped a little through a Gri-Gri when holding the weight of a fallen leader, but this went away after a couple of weeks of use. When you throw down a chunk of change on an expensive piece of equipment, you want it to last a while. A rope is the piece of climbing equipment that gets retired most often, and with good reason — it is your lifeline. However, some ropes still last longer than others. Overall, the thicker diameter ropes, like all the workhorse ropes, last a bit longer than the thin diameter ropes. We noticed that the skinny diameter Sterling ropes were the first to wear out in our test by a large margin. We enjoy climbing with these ropes so much that we are willing to overlook this fault, but keep in mind that these thin ropes will have the least amount of life in them. 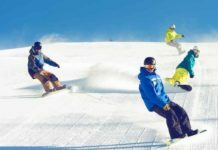 Ropes with surface treatments, whether a dry treatment or a different type of coating designed to enhance durability and handling, do seem to stay newer longer than ropes without treatments. The coatings prevent the ropes from picking up dirt and absorbing water, prolonging the new, smooth feeling. Some models come standard with treatments, while other brands sell ropes with different treatment options. 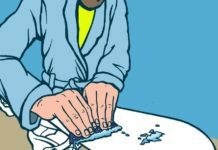 We suggest purchasing a rope with a dry treatment if you can afford it, mostly because it extends the life of your rope. Another variable that we found to at least somewhat correlate to durability is the sheath percentage. 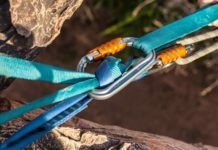 Most manufacturers are now providing a spec that lists the percentage of the rope’s weight that is devoted to just the sheath. Since most people retire a climbing rope when the sheath shows significant wear, the durability of the sheath obviously matters. Clearly this spec can be a little misleading when comparing ropes of different weights. A heavier rope with less percentage of sheath can still have a thicker sheath than a lightweight rope with a higher percentage of sheath. But, when comparing ropes of similar weight, this spec can give you some idea of how thick the sheath is, and therefore how abrasion resistant it will be. As a fundamental part of any climber’s crag pack, a rope is more than a decision of just a cool color. At first glance, the multitude of ropes on the market have an extensive list of numbers and specs all while tending to look quite similar. 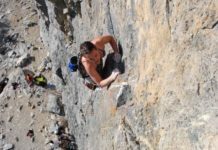 We hope that this review helps you to make an informed decision on the rope that will not only help to keep you safe, but fit your climbing lifestyle as well. For more information on choosing the best rope to purchase, check out our Buying Advicearticle. 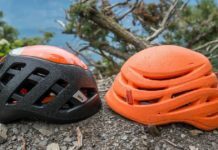 To fully flesh out your climbing kit, take a look at our Dream Rock Climbing Gear list to find the gear that will compliment your new rope.